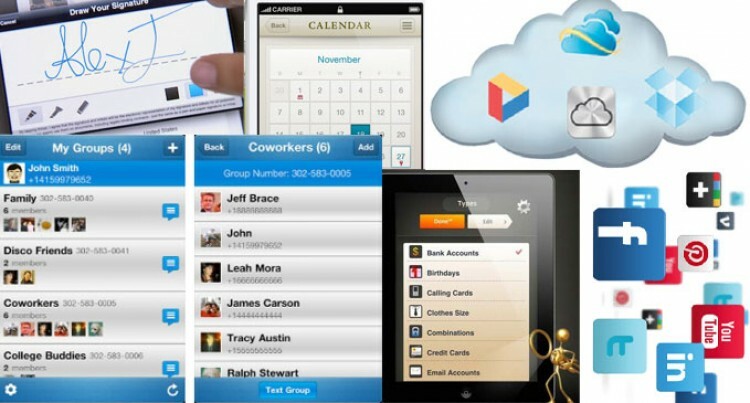 These apps is said to make you run your business smoothly. One of the most impressive things about doing business in 2015, is the fact that you can run your company from just about anywhere with the help of a decent smartphone. As apps become more powerful and prominent in today’s world, small business owners, and entrepreneurs are finding increasingly innovative ways of using these tools to help their businesses run smoothly, and grow more successful. Most of the time, smartphones come with a calendar application automatically built in, but finding one that works perfectly for your needs can be indispensable. The right calendar application ensures that you can properly schedule the essential meetings that are crucial to the growth of your business, respond to messages on time, and even post your social media updates according to the best possible schedule. We all know just how important organisation can be to business, and ensuring that all of your contact information is properly stored within the right places of your address book can make conducting business simpler and faster than ever. Certain applications today can help read your various contacts information and social media accounts, delivering a comprehensive dataset that you can use whenever and however often you like. It may not seem important but apps like these can save a lot of time rummaging through old address books. Today, most people are using apps like Dropbox or Google Drive to store files in the cloud. Both services are wonderful for accessing and viewing files from your phone, and ensuring that every member within a group can easily collaborate on tasks. These systems won’t replace the need for a desktop computer or laptop completely, but they can certainly make organising workloads on the move a terrific deal easier. Chances are that you’ve had to ask a client to sign a document before, or as a customer, you’ve had to sign for something yourself. E-signature solutions like CudaSign allows you to save valuable time in getting legally binding signatures from your partners, customers, and employees. This means hours saved in chasing down signatures, so business transactions are completed quicker, and progress can continue to be made. Possibly the worst thing that you can do for your online security and business safety is using the same password in every service that you use. Too many people try to avoid the complexity of remembering a host of passwords by using the same repeat password over and over again, but this can actually make you more vulnerable to fraud and theft. Generally, the key to remembering a number of strong, different passwords for each service is not remembering them at all, but getting an app to do it for you. These apps sync to your iCloud, Dropbox, or any other system so that you can access services quickly, providing a password whenever you need it. All you need to remember is the single master password that you use to access the app. Today, more people are using collaborative teams on projects than ever before within businesses. If you have people working on a project from all different parts of town – with some in-house, and some outsourced, you’ll need to offer that team a way to communicate through group messaging. The right group messaging app will allow you to create a personalised list of users that can be contacted through the data network. Just like group texting, it’s open to everyone, but you don’t have to worry about paying extra for exceeding your texting limit. Finally, one aspect of online marketing that has grown to be particular popular in today’s society involves social media. With social media marketing, you can improve your online presence, increase the visibility of your brand and more but only if you know how to manage your system properly. Social media management apps can allow you to keep track of all of your different accounts in a single place on your smartphone. This makes the process of being social much less challenging.